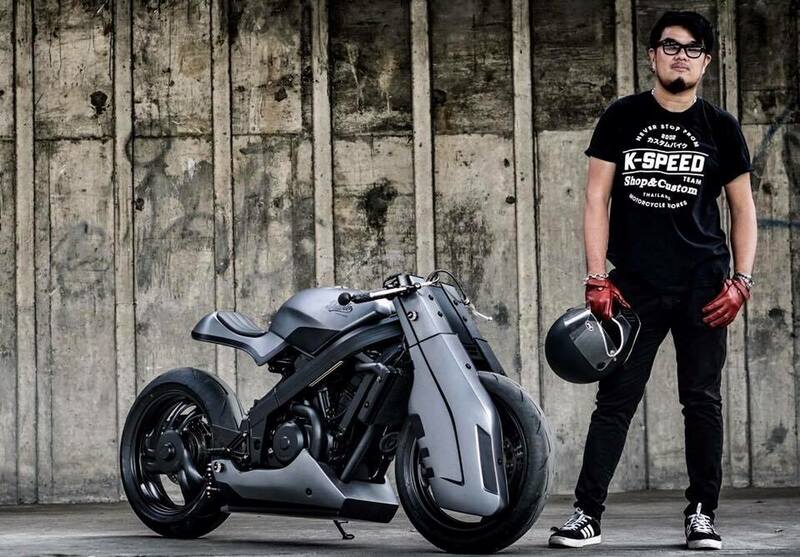 K-Speed turns an old Honda cafe racer ‘BROS400’ it into a full-aluminum cloaked futuristic motorcycle dubbed ‘Future Storm’. Produced between 1988 and 1992, the Honda ‘BROS400’ was viewed as a heavy, underpowered commuter bike for fledgling enthusiasts. It was a smaller varaint of the ‘NT650’, that was perhaps better known throughout Europe. 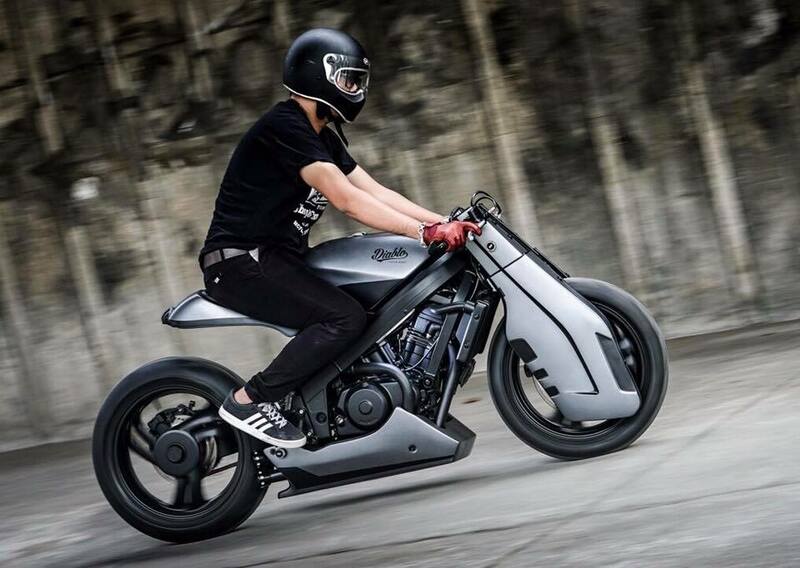 K-Speed has completely reworked the Honda model and produced this futuristic café racer with street fighter aesthetics, with a revised fuel tank flowing sinuously into the bespoke tail unit. Some heavy new suspension fork guards at the front add further protection when in motion, and creates a look that lends itself to a science fiction movie. 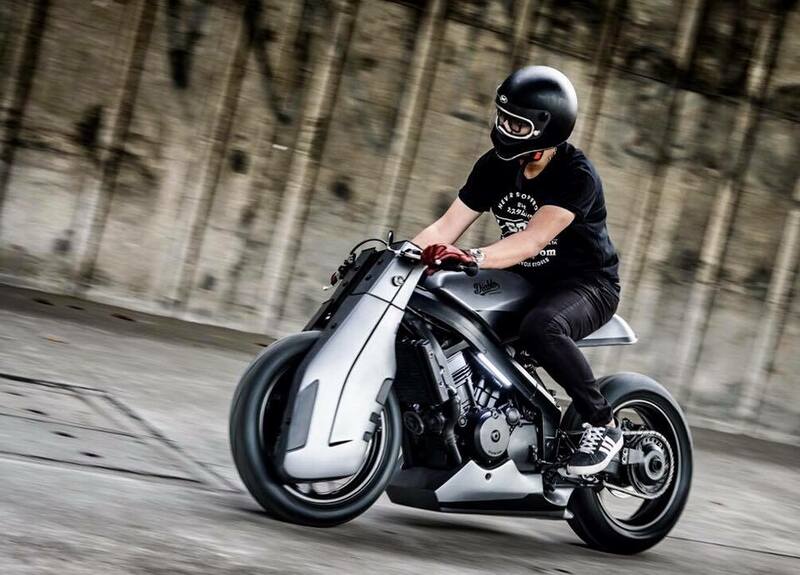 Some added negative space above the rear wheel comes courtesy of the garage’s bespoke subframe. The headlight is discretely hidden behind the louvered section toward the base, with a pair of Motogadget turning signals at the top, and on either side of the belly pan towards the back. If you like this custom cafe racer you should definitely check XC1 Café Racer and Honda CX500 Café Racer featured earlier on our website.